A unique opportunity to experience at first hand authentic Cretan regional cooking techniques and recipes that have been developed and handed down over generations.Our cooking trip takes place in beautiful wonderfully tranquil location in the mountain of Asteroussia some 65km south of Heraklion city. Our cooking classes allow you to immerse yourself in the culture and lifestyle of Crete and learn to cook authentic Cretan dishes in an informal and friendly environment. You will learn the passion of the local kitchen and, importantly, have a lot of fun and enjoyment doing it.All of the ingredients you will use are bought each morning from local open market or direct from the fields and so you will be working with fresh fruit and vegetables in season. Throughout our cooking you will learn about the ingredients and the traditions around the dishes You will learn the passion of the Cretan kitchen and, importantly, have a lot of fun and enjoyment doing it. We designed this tour so that our clients can immerse themselves more fully in the culture of Crete and the treasure of its food. Simple, basic, without over spicing and without a distortion of taste. So quite delicious. A Cretan housewife never counts out of weighs ingredients. If you ask her how much flour is needed to make a certain dish, she will reply "as much as needed". Cretan cooking has its roots way back in Ancient Minoan times. We know that Minoans used olive oil just as Cretans do today. We know that they stored their cereals and they enriched their meals with the pure wine just as Cretans do today. Olive oil, fresh vegetables, wild greens and fruits are the elements of the Cretan Mediterranean diet with a beneficial action which Cretans are in the habit of purchasing and consuming fresh. The freshness of these products guarantees the quality of the foods and viability of the vitamins and phytochemical substances they contain. Upon arrival at the airport of Heraklion you will be met by George your Cretan English speaking host with welcome refreshment. Within minutes you realize that you have been transported to another time – you need only relax and soak in the experience. 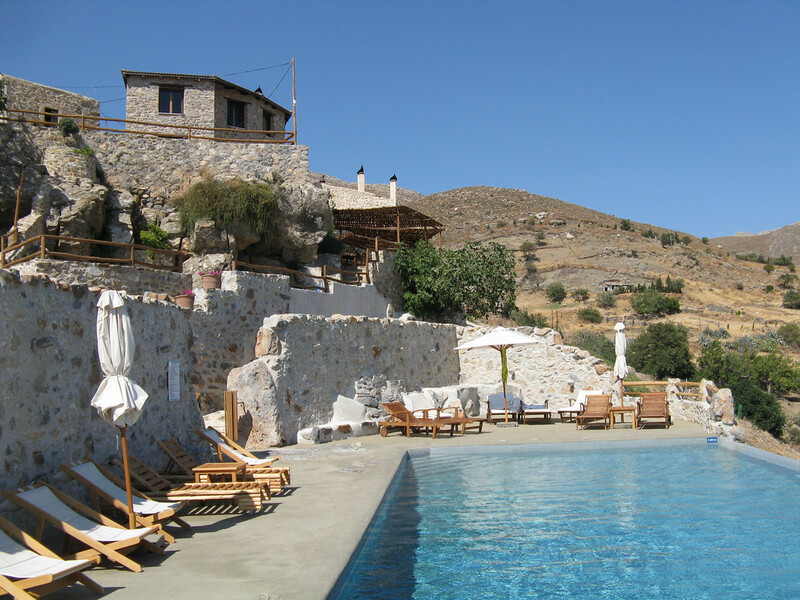 You will be treated to Greek Cretan traditional Mediterranean meal with a variety of dishes, and then later driven south to the Lodge. It is a 70 minute drive. Dinner at the lodge with a variety of local foods. The flavours and freshness variety of local foods are a wonderful welcome to the Island of Crete. After a rich breakfast, set out with George to visit Gortys, ruined capital city of Roman province that included not only Crete but also much ofNorth Africa. Including an impressive theatre, the Basilica of St. Titus the eponymous saint converted the island to Christianity and was the first bishop, the Odeon and the Law code. Ending the visit drive west and thepalace of Phaestos the second most significant archaeological site of the Minoan civilization. Phaestos is located at the southern region of theprefecture of Heraklion in the valley of Messaras. 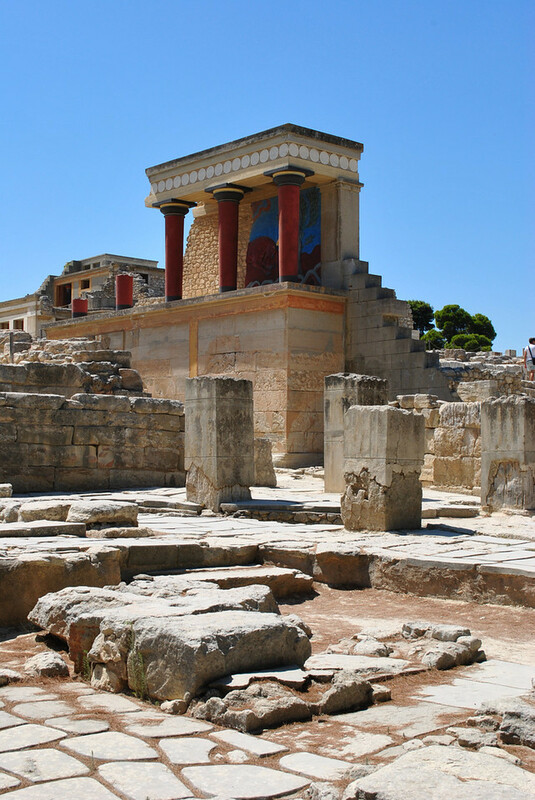 The site of the ancient city is very impressive and the palace compound, although not as extensively restored as the compound of Knossos, offers a detailed insight of the everyday life of such a historically remote period. According to mythology the king of Phaestos was Rodamanthis brother of king Minos of Knossos, and superior judge of the underworld. Lunch will be in the fishingvillage of Kokkinos Pyrgos at the sea front restaurant of Kokkinos Pyrgos consisting of fresh local greens and vegie specialties. After lunch, drive back to the lodge and get prepared for the first cooking class. Tonight’shands-on class is based on a variety of vegetables with prep techniques that transforms basic ingredients into a full table of colour. Meat free Moussakas, Aubergines imam in tomato sauce, fried vegetables in tomatosauce, smoked eggplant all the way vegan and vegetarian options will be in abundance. As always, local wine will compliment your meal and enhance your evening. 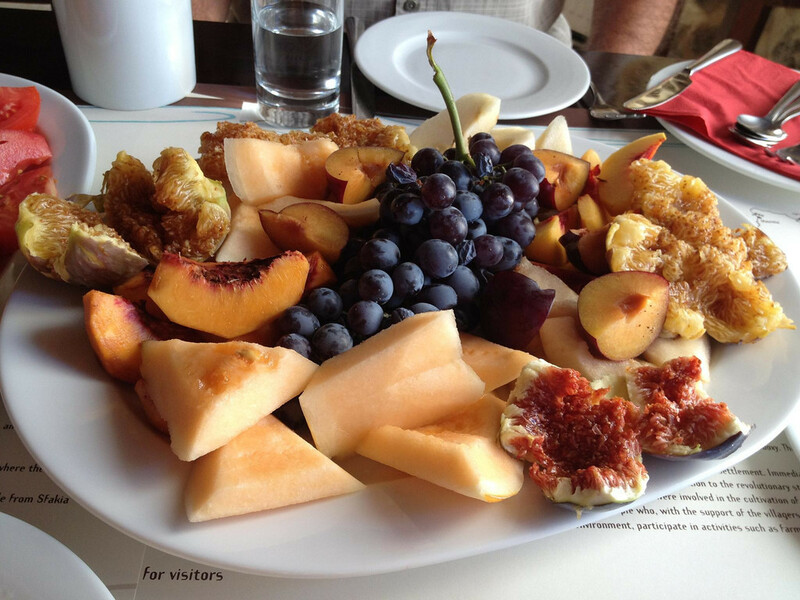 After a rich breakfast, you will enjoy a slow drive through the vineyards and small villages of the region. You will visit the 16th century monastery of Arkadi, the small village of Margarites popular for the ceramics they produce and the city of Rethymnon where every street will take you on a journey through history. Venetian and Turkish buildings have become smallrestaurants, cafés and shops. Your walk down the narrow streets will take you to small tourists’ shops and coffee houses where you can mingle with locals. 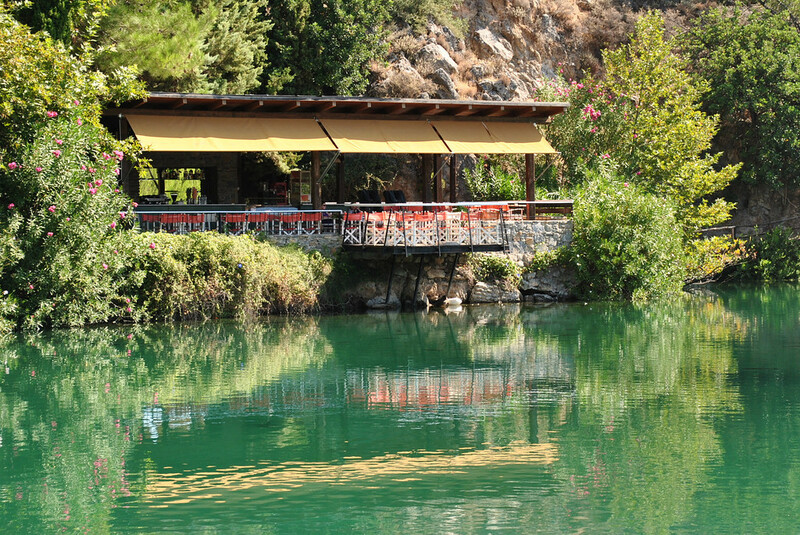 A slow drive to the Water of Argyroupolis where lunch will be served with a variety of Cretan vegetable and cheese specialties and abundance of grilled meats. After lunch, drive back to the lodge and get prepared for the second cooking class. 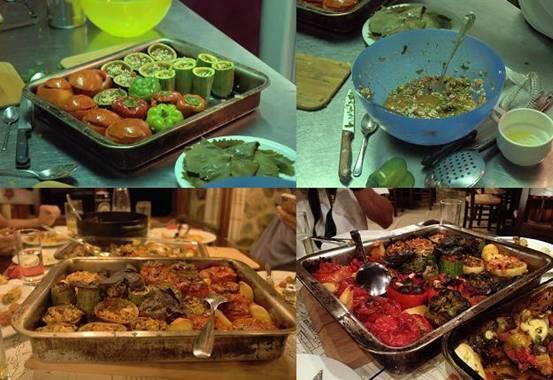 This hands-on class will take you through the process of making stuffed tomatoes,peppers,courgettes,and aubergines..as well as Dolmadakia (little stuffed wraps) with vine leaves, sorrels or pumpkin flowers.These all will be enjoyed as our dinner and will be accompanied with copious amounts of pure, homemade local wine and raki. After a rich breakfast, slow drive to the monastery of Odigitrias or Xopateras.Rich history back to the Turkish occupation. Centre of revolutionary against conquerors. Beautiful frescoes. Next stop the beach and caves of Matala has by far the best-known beach in Heraklion province. These are believed to be ancient tombs first used by Romans or early Christians to more recently inhabit by a sizeable hippie community. Modern artists as Bob Dylan, Cat Stevens, and Joni Mitchell, who mentions Matala in her song “Carey.”. Lunch in Matala at sea front restaurant with local specialties. On the way back we buy fresh fish and sea food that will be on our tonight’s cooking class and dinner.The today’s cooking class based on the casserole food the called "mageirefta" and "ladera" (cooked in casserole with olive oil food)Several kind as wild greens in pot with olive oil called tsigarista,fresh green beans and broad beans are a few of the cooking menu items and will be accompanied with copious amounts of pure, homemade local wine and raki. After a rich breakfast, We drive north direction the lake of Zaros. and drive east north to Dafnes a village near Heraklion. 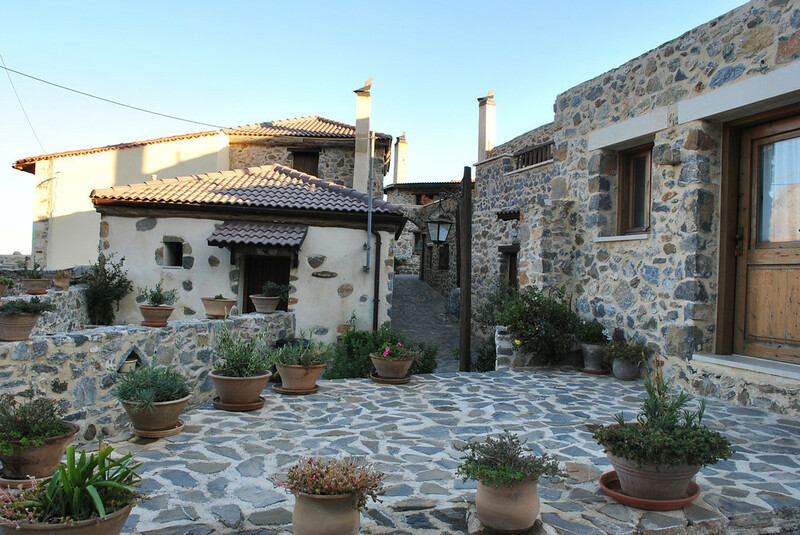 We visit small well known family wineries, depending the season we may have the chance to join the way they produce the Cretan Raki. We taste Raki and home made unique wines and spend few hours with the locals join them on their daily life and try various home made plates. After lunch drive north west to a place 20 km far from the city of Heraklion; Beautiful virgin nature is perfect pasture for bees. Old traditional bee-keeping methods ensure ecological, clean and free from any additives honey and other bee products. First honey of the season is collected from spring thyme blossoms This golden yellow honey is perfect source of nature’s ingredients. We do a short hike and reach the place the bees located. Later walk down a small local café / restaurant run by the owners since 1949. The owners (two brothers) have been beekeepers since all their lifetime taking the business from their father, Therefore, we taste honeycombs straight fromthe beehive and learn everything about bees and beekeeping as well as having a kind of pancakes we call them –tiganites – deep in honey and small cheese pies with honey in company with local wine and the Cretan snap – Raki -. You will definitely feel the positive effect to your body and soul. 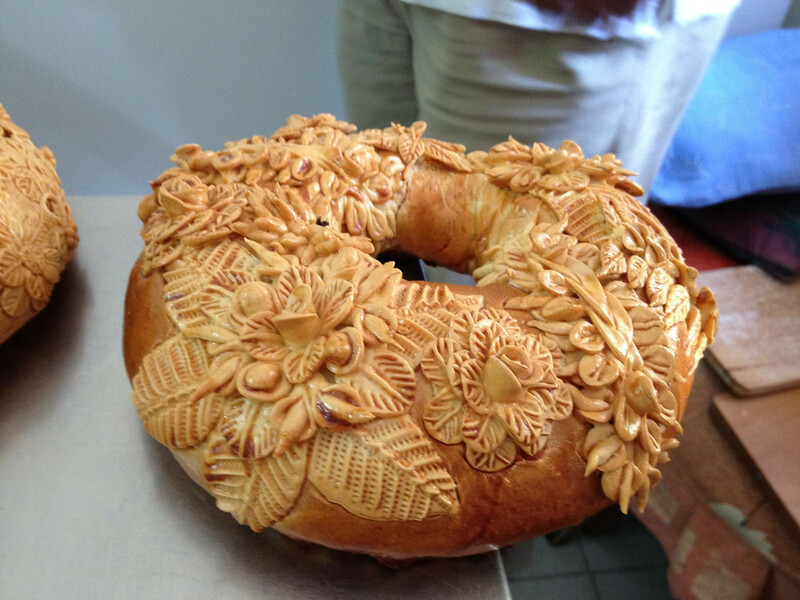 A visit to a women cooperative at the near village of Marathos where theymake the very special – unique art pastry small and bigger round breads – we call them XOMPLIASTO KOULOURI – and drive back to the resort. Get ready for the last cooking class which is diferrent kind of green pies / roasted and fry in the pan. Dinner will be accompanied with copious amounts of pure, homemade local wines. someone must see the ancient palace of Knossos, built 3.500 years ago. Ending the visit of Knossos drive to Heraklion. A walk in the heart of the city of Heraklion with stops at small shops, tasting special cheeses with a shot of raki and having lunch at a small mezedopolion is a wonderful way to round out your week on the Island of Crete. We will walk the streets of the city and meet nutritional wanderings elevating the palate to heaven!! 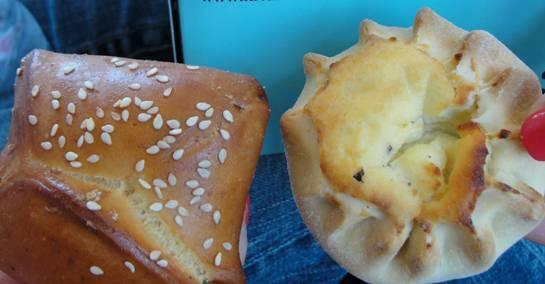 Will explore unique tastes on this walking tour of Heraklion. Will join the real daily lifestyle the people of Heraklion live. The day will start from the best small pastry shop in the city. Gloria: Artistic feeling+ imagination+ pure fresh ingredients = fascinating for your palate. We taste the “Galatoboureko” milk cream and filo pastry in syrup and “trigono” cheese cream and filo pastry in syrup for the LACTO-OVO followers. Incredible taste never have taste anything like that!! Walk down town to the heart of the city and come to the PLATIA KORNAROU where we drink a cup of Greek coffee the traditional way cooked in hot sand. Walk the central market and stop for an OUZO with MEZE (Small bites accompanies the spirit) at one of the traditional Mezedopolion of the street. We will be part of the people walking / talking / arguing. Visit the cathedral of the city Saint Minas, and then the Morozini fountain at the heart of the city, the Venetian church of Saint Marcus / now gallery, the church of Saint Titus. Then we walk down direction the sea side of the city where we go for a light Cretan style slow food lunch with a variety of veggie dishes accompanied with cold white wine or retsina. We end our walk after lunch visiting and taste the famous “loukoumades” Cretan style doughnuts sprinkled with honey and sesame. Tonight our dinner will be prepared by the owners. 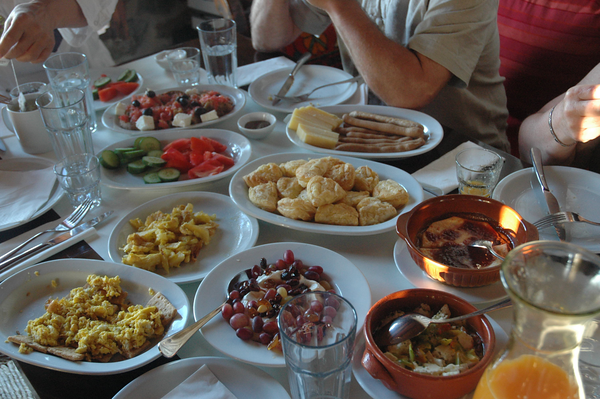 We will have the opportunity to sample a large variety of specialties (called mezedes) accompanied by the Cretan Snap RAKI Time to compare their dishes to those you have learned during the week? You have explored a new region of the world filled with some of the best food you have ever tasted and made new friends– what more could one ask? After a restful sleep, transportation will be provided for you to meet your departing flight.